The orchid house in the conservatory at Longwood Gardens is immense, but these magenta pink orchids are one of my favorite kinds! Just beautiful!! Just love that intense pink with the red center. Beautiful flowers. The pink blossoms are awesome! Orchids are such beautiful flowers and I love this pink colour! Thanks for hosting. You always have such beautiful photos each week. Thanks again for hosting have a gorgeous week. Beautiful. Orchids are my mom's favorite. Orchids are incredible and beautiful, Mine have begun blooming again after just 3 months. Wow, now that is a pink! what a beautiful pink flower; wow! One of my favorite flowers!! Beautiful flowers! I really love orchids. That really is a gorgeous picture of a gorgeous flower. Love the colors. Very cool quote too, I had never heard it before but I like it a lot! It is always interesting to get inside the head of an artist. 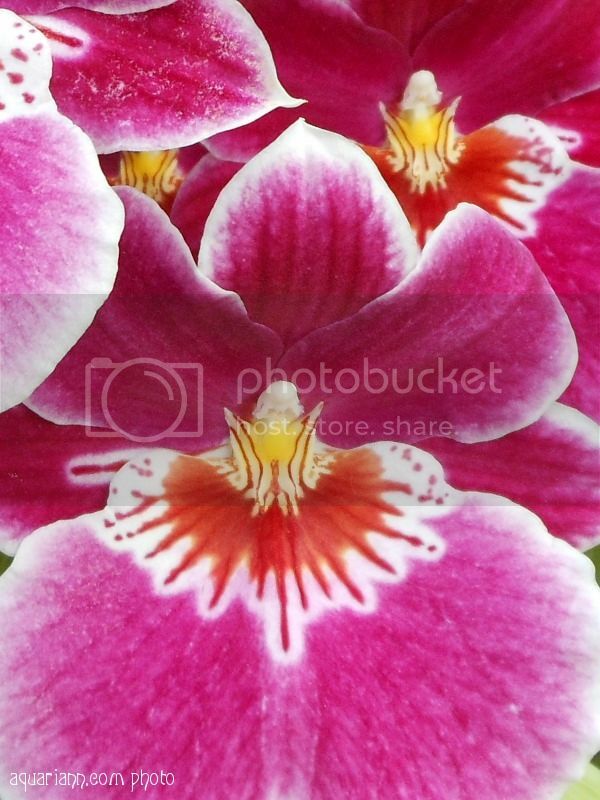 The pinkness of this orchid just popped out at me when I landed on your page. I just love the color pink, too! Great photo. Great phrase. Thanks for hosting! Such a beautiful orchid, I am trying to grow 2 and I struggle with them.